“We are completely lost,” said Henri Medori, manager of publisher AEDIS. In a hangar that serves as his firm’s logistic hub in Lempdes, near Clermont-Ferrand in central France, dozens of copies of laminated leaflets on “Europe at 27” rest on boxes. “We have at least ten books that have a map of Europe, of the European Union. So it’s a little complicated,” he said. “We have frozen the print run — we will start it as soon as we have certainty about Brexit.” Britain was due to leave the EU on March 29, but this was delayed to April 12 and now to October 31 amid disagreement in parliament over how to manage the split. Medori said there was “public pressure” to respond, explaining: “We were challenged by some readers who claimed our maps were wrong by including the UK.” Then other clients complained, in emails that were “sometimes insulting”, saying that technically Britain remains a member of the bloc. “So we added a box explaining Brexit,” he said. But the firm has sold at most 6,000 documents showing Europe as a union of 27 countries, mostly in shops in motorway rest areas. “For a year and a half, we have mostly given up on sales in this area,” Medori said, adding that he had received no guidance from EU institutions. In Britain, the Oxford University Press (OUP) has avoided any radical changes to its maps but it also has to adapt. “We’re monitoring the situation but not making major changes until we have greater clarity,” a spokeswoman said. “But in some cases, we are removing maps if they will simply cause confusion.” In Brussels, at a souvenir shop near the EU’s headquarters, some items showing Britain’s membership will disappear with Brexit. “Anything with the UK on it might one day become a collectors’ item,” said manager Tamara Goldstein. She also has a jigsaw puzzle that is selling well, showing the European Union as it will be after Brexit, with “no sign of Britain”. “It depends on the manufacturers,” said Goldstein. 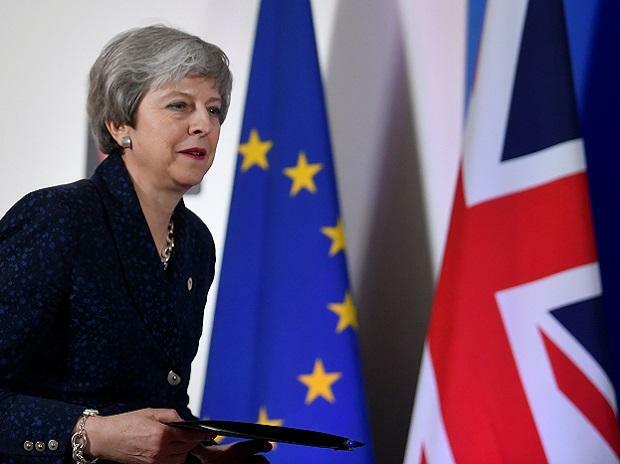 “Some product lines are being stopped because they don’t know how to launch the next edition, without the British.” However she sees some positives in the situation, noting the demand for pro-European goods has shot up in the past few months. “A few years ago, we sold a lot of neutral items,” she said.